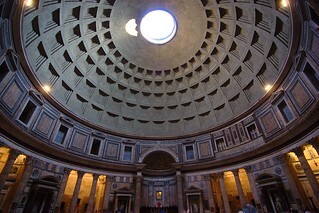 The Pantheon is famous for being a domed building with the opening in the top. Beautifully decorated, and there are holes in the floor thoughtfully designed for those rainy days. 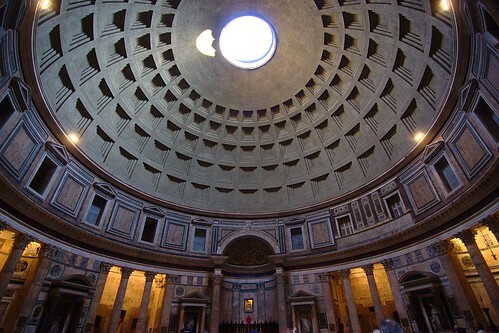 OK, so it's touristy, it's still a neat building!